LONDON—Crowdfunding platform, Abundance Generation, has appointed CCgroup to help promote its funding of renewable energy projects. The PR agency’s cleantech division has been briefed to promote the company’s debentures, which allow members of the public to make an ethically-sound investments. Abundance is the first financial service to use debentures to fund renewable energy projects in the UK. 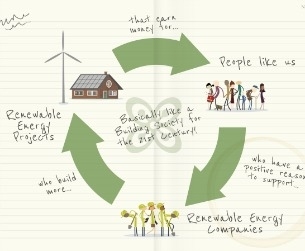 So far, Abundance Generation has raised £3.5m for six renewable energy projects across the UK. Currently the organisation is offering debentures to refinance 20 solar power projects in Nottingham, including a nursery, primary and special needs schools. “Traditional finance and energy markets are in need of an urgent overhaul and Abundance provides a fantastic new solution," added Charlotte Webster, head of cleantech at CCgroup PR. "The popular image of crowdfunding is currently defined by organisations such as Kickstarter, financing startups. But Abundance offers a very different kind of crowdfunding, an investment platform that’s enabling a revolution in energy and finance.”"